Alfa Barstools, located in Hallandale, Florida, has been providing brand name and custom barstools since 1992. We have a great reputation due to quality, customer service, and our helpful and knowledgeable team members who strive to make every experience with us a pleasant one. Do you want barstools? We offer convenient online ordering of a variety of brand name and custom barstool options in a wide variety of styles and colors. 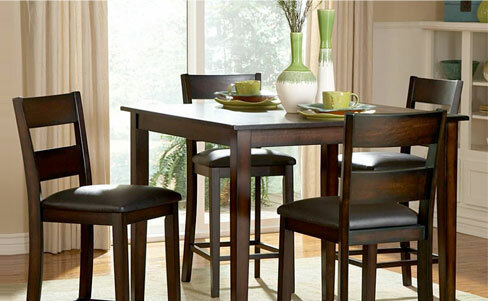 Check out our wide array of barstools, dinette sets, patio furniture, and more. We ship throughout the USA as well as overseas, too and always strive for the most cost-effective shipping options for you. Do you want to see specific products for yourself? We are open 6 days a week to show you great options that we’ve supplied to homes and businesses throughout Florida and beyond. Our customers include residential and commercial customers, including homeowners, restaurants, nightclubs, resorts, offices, and more. 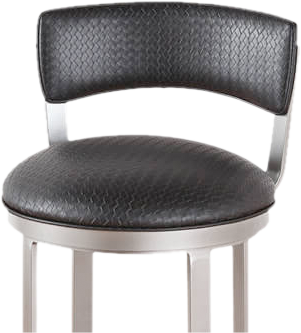 Alfa barstools offers style, quality, and comfort and you’ll find them throughout the state of Florida and beyond. The Alfa Barstools team provides customers with expertise in interior design, too. Want help choosing the perfect barstool? For those who need advice on style, comfort, and height, contact us. Or, if you know precisely what you need and can’t seem to find it anywhere, we invite you to talk to us about custom barstools. We offer counter, bar, and spectator height barstools for indoor and outdoor use in a variety of styles, colors, and finishes. We care about customer service and customer satisfaction. Talk to us about your barstool needs and we would be happy to help with recommendations for barstools that will add beauty and functionality to your living space. Whether you purchase indoor or outdoor barstools or some replacement parts for your barstools, we strive to make your experience with us a pleasant one. Talk to us about sizes, colors, fabrics, or any other questions that can help you pick the perfect barstools for your home or business. 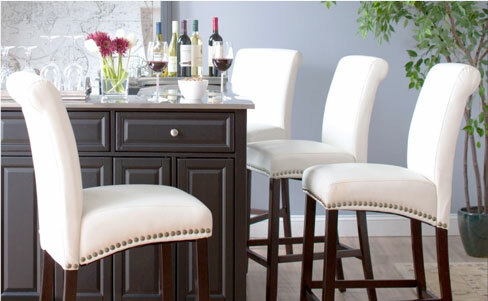 Not only do we offer great quality and easy ordering but buying barstools from Alfa Barstools can save you money. Buying from us results in cost savings of 40%, 50% or even greater. We can help with replacement parts, too. Shopping at Alfa Barstools is convenient and saves money. We care about order Browse our site for information, contact us for personalized assistance, fill out an order form to get the process of buying great barstools started, or check out customer reviews. When you work with us, you get gorgeous seating options for indoors or outdoors, at excellent prices.